Mike Pence: he’s anti-LGBT, anti-women, and his religious “morality” dictates his governing style. Bill Maher made a gentleman’s bet with Trump supporter and political strategist Boris Epshteyn back in May of this year during an episode of his Real Time program. Maher bet him 100 rubles that Donald Trump will be out of the White House by the end of 2017. 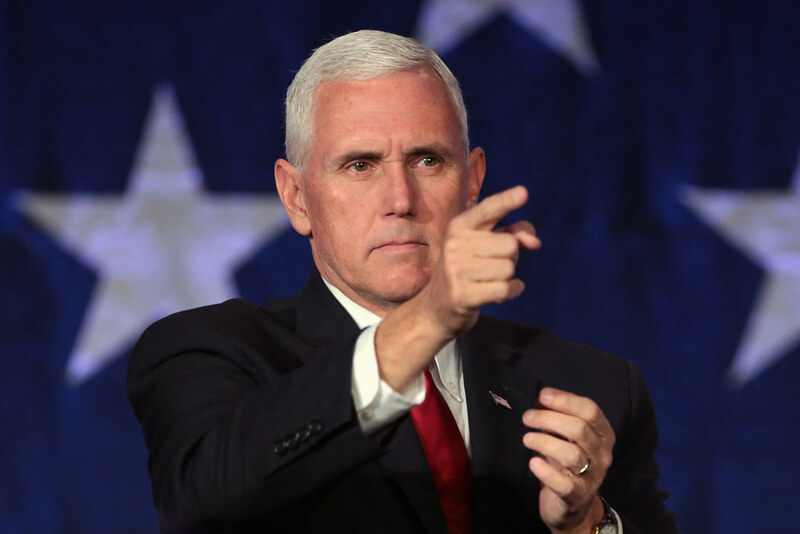 With the endless stream of leaks and questions regarding possible collusion with Russia in the 2016 election mounting against Trump and most of his staff (including Pence), as well as the apparent attempt to cover up those ties, it is conceivable that the vice president might be movin’ on up to the Oval Office – and if he does, everyone needs to understand he poses a different kind of threat to democracy than Trump. Pence is a right-wing evangelical extremist. He’s anti-LGBT, anti-women, and his religious “morality” dictates his governing style. Some say they’d welcome a Pence presidency over Trump’s; however, before one jumps to the conclusion that he’ll be better for the country, let’s look at six reasons why extremist Mike Pence would be a disaster. He was the first congressional representative to launch the effort to defund Planned Parenthood – and he was willing to shut down the government to make it happen. After he slashed state health funding in his home state of Indiana in 2013, the only Planned Parenthood clinic in Scott County that performed HIV testing was closed. By 2015, 20 new cases of HIV were being diagnosed each week, reaching a total of nearly 200 cases by the time the outbreak was finally under control. Here’s the good news – the law was wildly unpopular, and backlash forced him to sign a bill amending the legislation that reversed the discriminatory intent. Drug reform? No way! Indiana has some of the toughest marijuana laws in the nation — possession of even the smallest amount of pot will get you up to six months in county jail. Slightly more than an ounce means a felony punishable by up to 2 ½ years in prison. Selling any amount more than 30 grams is also a felony, again punishable by up to 2 ½ years in prison. This is just a glimpse into what a Pence presidency will look like. And it’s why the resistance must continue to show up at town halls and to the offices of their elected officials. If Mike Pence has his way, America will become a restrictive evangelical utopia where white men rule and everyone else gets f**ked – but not in the fun way.